I had been going to another ophthalmologist in Melbourne for 2 years to treat my wet macular degeneration. I hated and dreaded every appointment. Their doctors never looked me in the eye and never had an extra 2 minutes to answer any questions. I always came home with a very sore eye. I always ended up with air bubbles in my eye after my shot, obstructing my vision for a day or two. 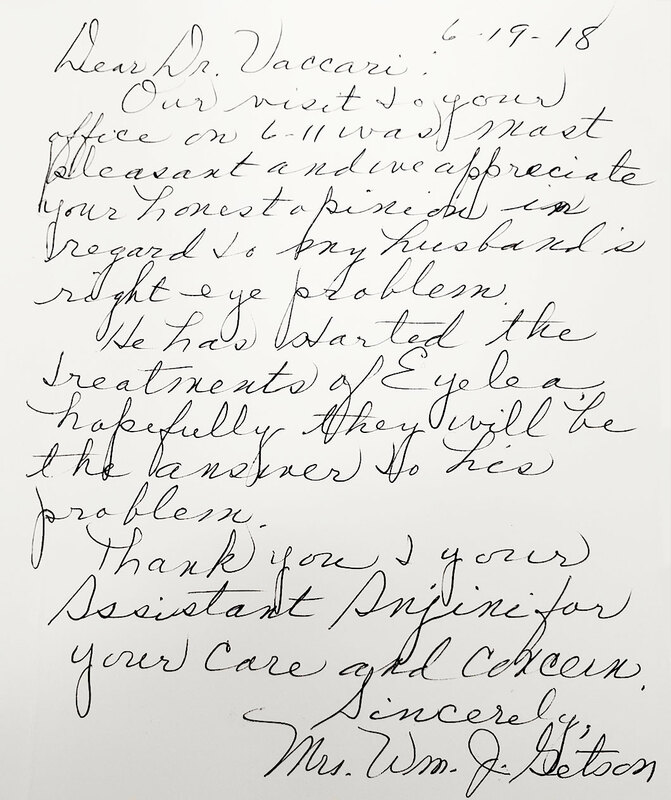 Atlantic Eye MD was recommended to me by a patient of yours, even though I could get to the first eye doctor in 5 minutes and it is a 45 minute drive to get to you. That decision proved to be the best one I have made for my eyes and my mental attitude. I have now been going to Dr. Vaccari twice a month for 4 months to get my shots. I can't say enough about him and his whole staff. 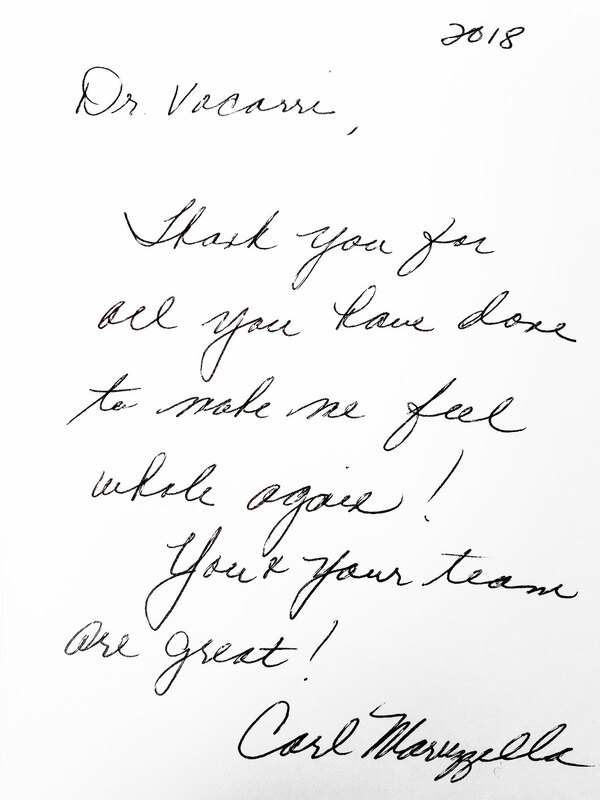 Dr. Vaccari is a caring man who always welcomes me with a hand shake and a smile. I have learned more about my eye problems and how to deal with them in 4 months than I learned in 2 years in the other place. Dr. Vaccari has worked with me to make my eye shots virtually painless, even though it means he must spend more time with me. He is willing to answer my questions and take all the time I feel I need. What a difference. 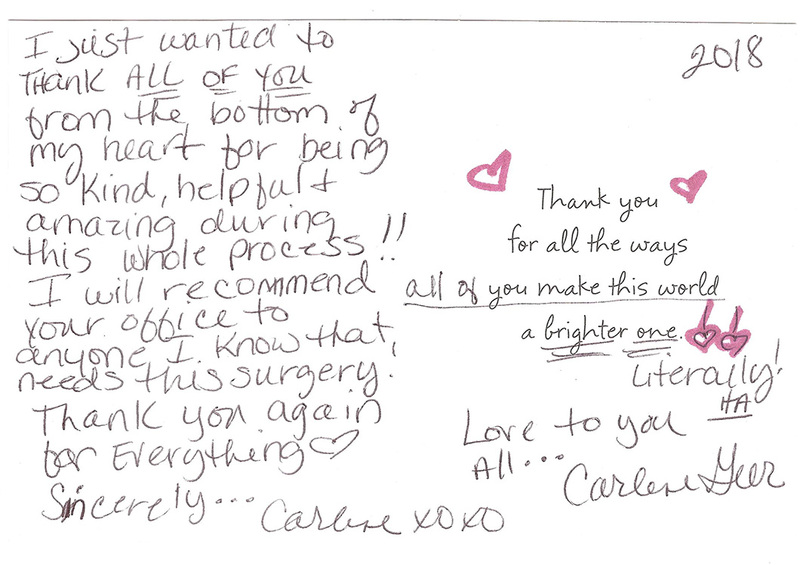 Thank you very much, Dr. Vaccari. And a big thank you Sheila, Tina and the rest of your friendly staff. I would recommend you to any one.